Yes, as my father points out, it is pronounced differently. However: still amusing. Also amusing: My Living Nightmare Of Encouraging Kids To Read Is Over, or, LeVar Burton’s op-ed piece in the Onion. It’s an interesting book, but it didn’t really tell me anything I didn’t already know: fast food is super bad for you, chain restaurants are too, and marketing is designed to draw you in despite that. Nothing revolutionary here. What is interesting–and new to me–was a lot of the psychological and physiological aspects that Kessler discussed. Yes, I knew some people had a much harder time resisting bad food than I do, and now I begin to understand why. What was also particularly interesting to me were the different attitudes and approaches to food in the US and Europe that Kessler highlighted. I’ve spent enough of my life in Europe that I share some of those, and it was satisfying to understand why I’m so “weird” when it comes to food. And maybe possibly why my weight isn’t too badly out of control, despite loving carbs and loathing veggies. 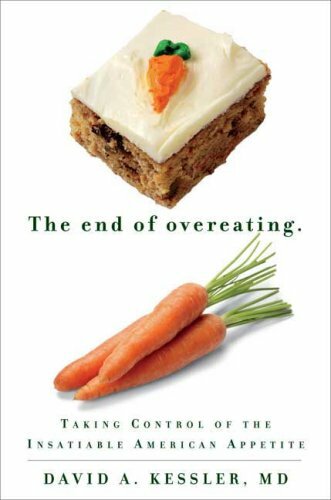 I never want to eat fast food again after reading this book. And I’m not too jazzed about eating at chain restaurants either. It’s not particularly graphic, but it made me scrunch up my face in disgust reading all of the fat + salt + fat + sugar + salt + fat litanies. Yuck. I hardly ever eat fast food, and rarely eat at chain restaurants, so I feel sort of vindicated, but mostly just grossed out. Six newlywed couple have arrived to take the Honeymoon Travels Pvt Ltd tour bus to Goa: Oscar and Naheed, Partho and Milly, Pinky and Vicky, Madhu and Bunty, Aspi and Zara, and Hitesh and Shilpa. As the tour progresses, they get to know each other (and also themselves) better. Oscar and Naheed are a middle aged couple who have found a new chance at life and happiness by embarking on a second marriage together. Partho and Milly appear to be quite traditional, but there may just be more to Milly than meets the eye–much to Partho’s apparent dismay. Pinky and Vicky are completely perfect for each other, and are so in love, and are so sweet, and are going to have the best marriage ever…at least according to Pinky! Madhu and Bunty met over the Internet, and married soon after meeting; both are trying to move on from past unhappy relationships. Aspi and Zara have known and loved each other since childhood, and have never even fought. Can they really be as perfect as they seem? Hitesh and Shilpa had an arranged marriage; it has not been a success so far, as Shilpa’s constant weeping can attest. There is also a mysterious man on the motorcycle following the bus; what is his story? I’ll just start off by saying this may be the cutest movie EVER. I adored it. Yes, some of the story lines are a bit contrived, but no more so than in your average romantic comedy. And yes, it is a bit silly at times, but that’s ok too! The sweetness never becomes cloying, and the sillyness never veers into slapstick. Pretty much everyone gets a happy ending, or at the very least, the potential to make their ending happy. I swear this isn’t going to become an All-Twilight-All-the-Time blog. 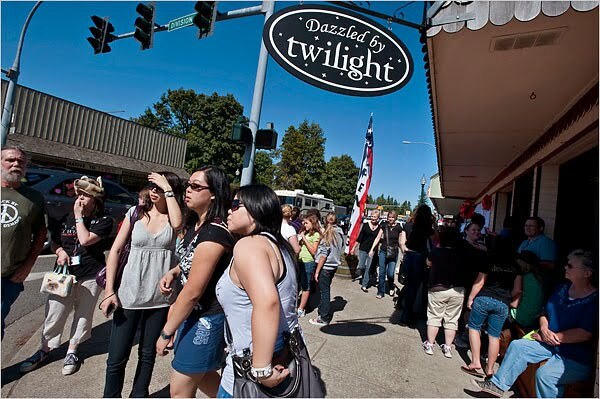 This was just too good to pass up: ‘Twilighters’ Put Small Town in the Spotlight. If nothing else, be sure to check out the slideshow. Don’t have the time to read The Lost Symbol? Don’t worry, here’s a play-by-play recap by John Crace. If even that is simply too much to read, try the Digested Read.